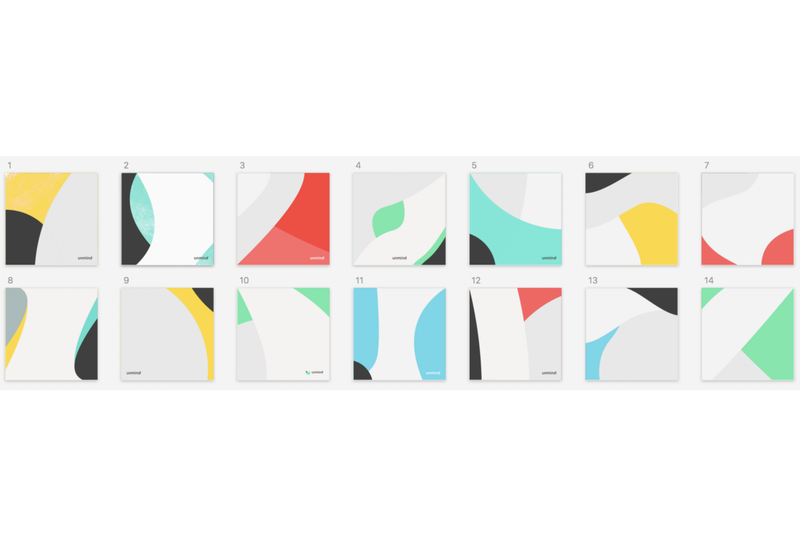 We had a chat with Aaina, Head of Design at Unmind, about how she got started with design, her approach to a brand identity project and her thoughts about the future of brand identity design. 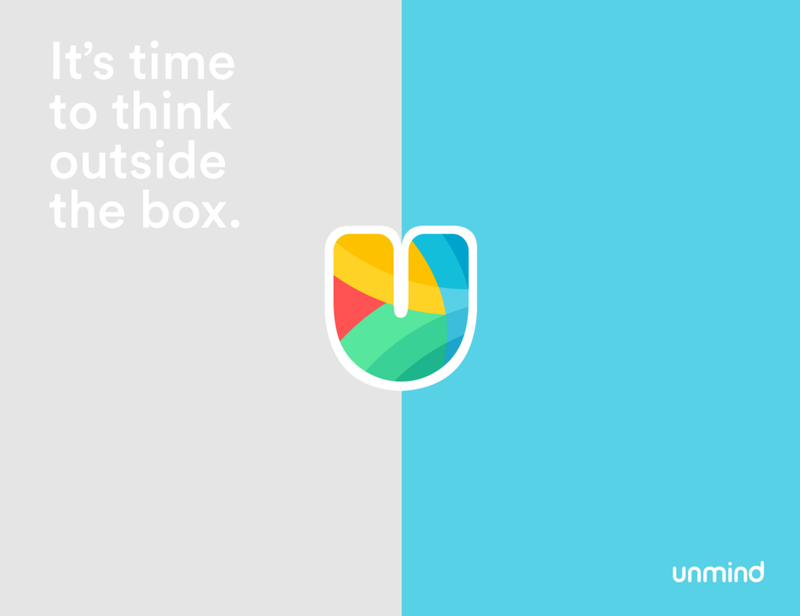 How did you get into the world of brand identity design — and what made you stay? From a very young age, I’ve loved brands. I’ve always been fascinated by them and how they’re presented to the world. My very first brand fascination was Coca-Cola. I loved the vibrant, strong visuals that they’ve always used. I remember being an 8-year old who enjoyed watching commercials more than watching shows and the Coca-Cola commercials were my favorite. When I decided I wanted to go into the world of design, brand identity design is what excited me the most because it allowed me to explore creative ways of representing a company or product with a simple mark. That’s extremely powerful. As I started getting into it more, I realized that there was more to brands than simply designing a logo. The reason I continue to develop brand identity systems is because they’re never-ending. There’s something exciting about creating a system that infuses the brand in every aspect of a company, whether it be a website, marketing collateral, a billboard, or even the way a team talks about their company or product. These are all a part of the overall ethos of a brand and the vision for a brand is truly limitless. I believe that a brand identity brief is only successful when it’s been created in collaboration between the client and the designer. Most briefs start out with general information about the company, the basic wants and needs, a few ideas on the visual style of what the client is looking for, and perhaps a list of competitors. I usually go back to the client to gather a lot more info that would help me with the research and conceptualization phases. I’m curious about things like: Who’s their target audience? What’s their USP (unique selling proposition)? What’s the company’s long-term vision? What’s their immediate mission? If they had to describe the company using 3 personality traits, what would they be? How does the company make the bulk of its revenue? 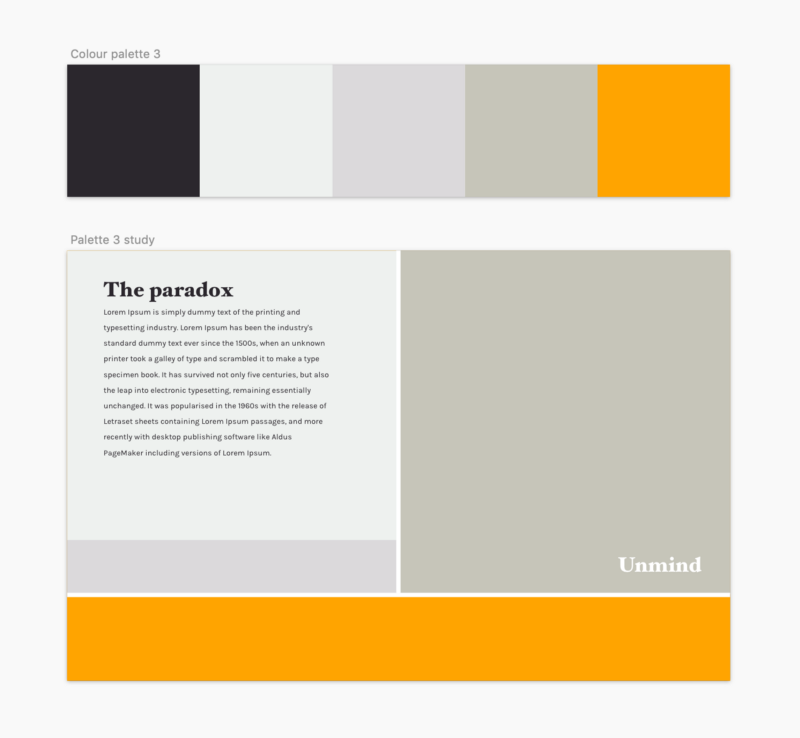 Moodboard for the Unmind identity. Answers to these questions help me gauge what the brand is at the moment and what it can become. Apart from receiving a formal brief, I also like to organize a workshop with the founders and relevant stakeholders to understand the brand better. During this workshop, we work through a few exercises collectively that not just help me understand the business and brand better, but also help others in the room do the same. 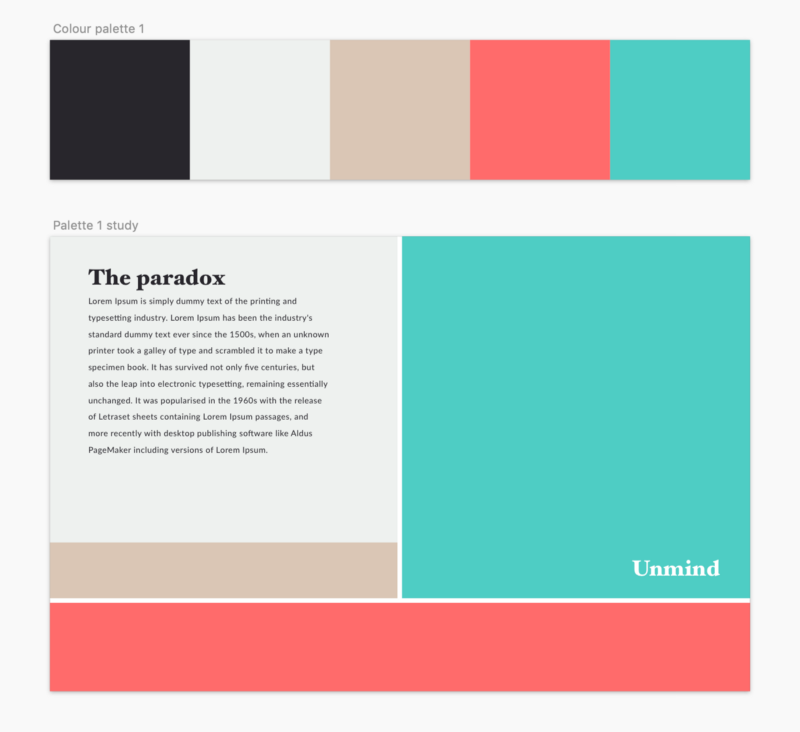 You recently did the Unmind rebranding project. 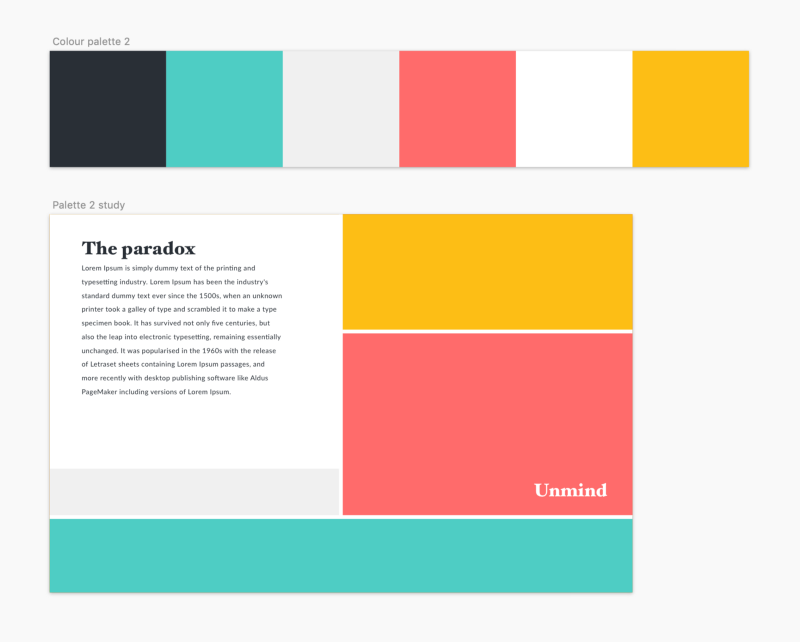 How do you creatively approach a project like that — from beginning to end? 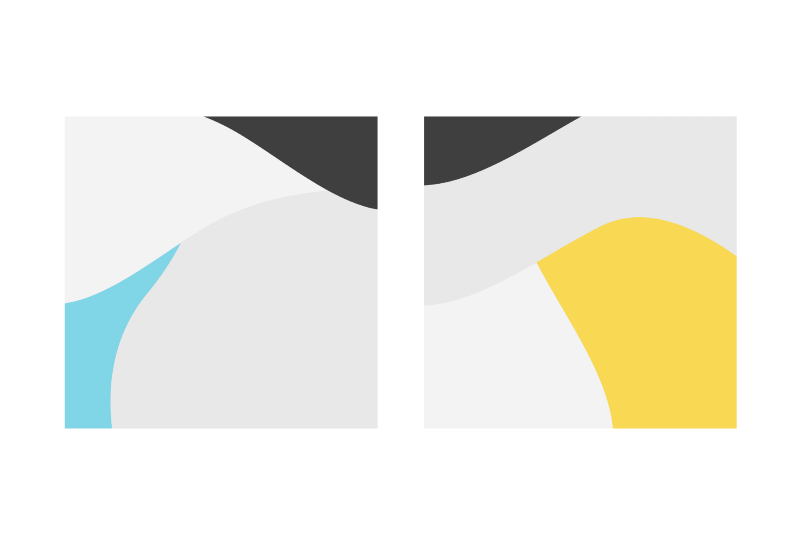 With rebranding projects, the first question I usually ask is if the business really needs a brand refresh. I ask a lot of preliminary questions to get clarity on this before we start working on anything substantial. I’ve had clients before who thought they needed to rebrand their company when the problem was something completely different. In Unmind’s case, the answer was a definitive yes. My second question is ‘Why?’. It’s important to know why the company’s looking to rebrand because more often than not, there’s some amount of brand equity that we, as designers, have to be careful about not throwing away. Answering the ‘Why?’ helps me retain the best qualities of the existing brand discard the rest. Once we’d gotten all of this out of the way, I worked with the founders to refine the brief that they had started working on. 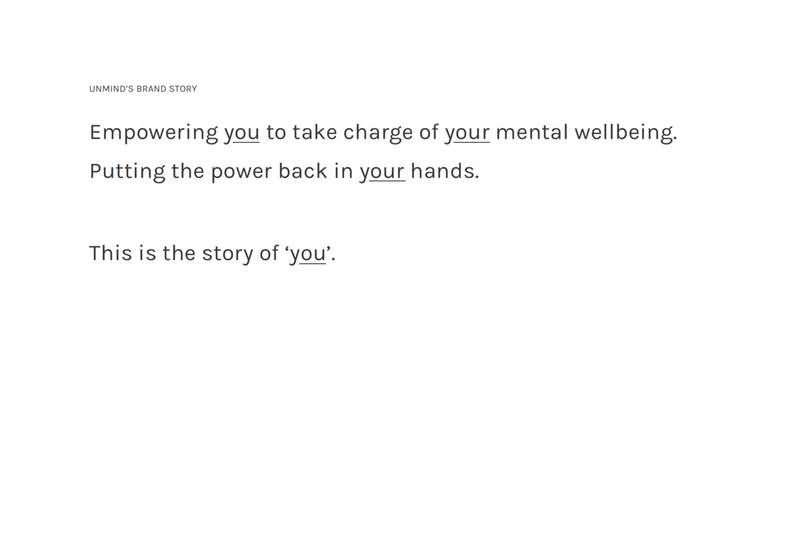 A 2-hour workshop followed with 4 key stakeholders in the room, which helped me understand Unmind’s vision for changing the way we perceive mental health. This was the most fun part of the process since I got to learn about a brand new industry that’s quite fascinating. 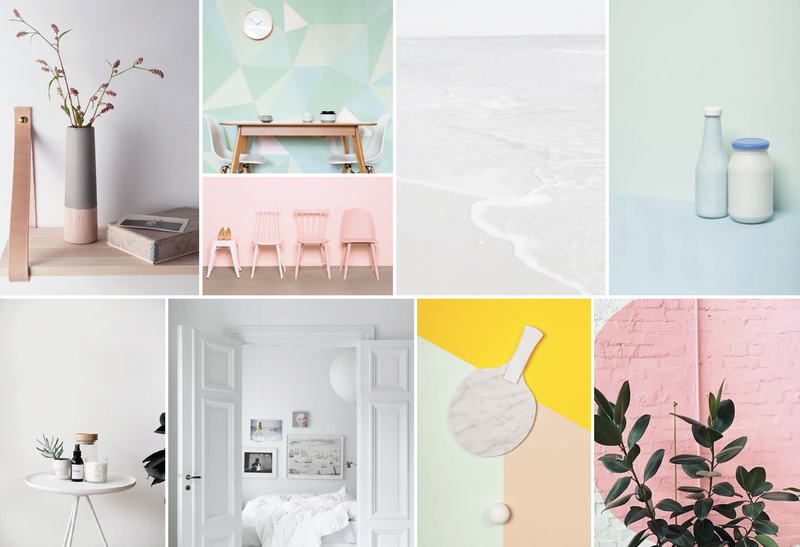 After the workshop, I spent a couple of weeks on research (gathering knowledge about the industry and competitors) and creating initial mood boards that would guide the visual process that would follow. I like to start a rebranding project with designing the logo first since that’s what sets the tone for the entire brand ecosystem. Once I have a clear vision of the mood and concept(s) we’re going for, I start sketching as many ideas as I can get out on the paper. In this case, we ended up with 3 concepts. We retained parts of the old brand that were valuable to the story of how the company started. We went back and forth on the logo many times until we had a concept and visual that we all felt matched our vision for where Unmind is headed. Next up, I worked on the brand story that would tie everything together and presented it to all those involved in the initial discussions. Once we had the logo and our brand story, every other component of the brand from there on was pretty straightforward to align with the wider vision. I like to be highly collaborative when working on a brand identity project, especially in the very beginning of the process. I like for the founders to be as involved as possible because this shows me how much they’re invested in the brand. Luckily, this hasn’t been an issue for me since I’ve been fortunate enough to work with passionate founders who care about the brand that they’re building. Those are my dream clients. It’s incredibly exciting to partner with smart, driven, focused individuals who aren’t afraid to take risks and go that extra mile to ensure that we create a fantastic brand that speaks to their vision. I spend a good chunk of my time in the beginning of the process doing as much research as possible, which makes ideas flow more easily. I also do this because I want to treat the brand as an entire system as opposed to 3 to 4 scattered pieces. 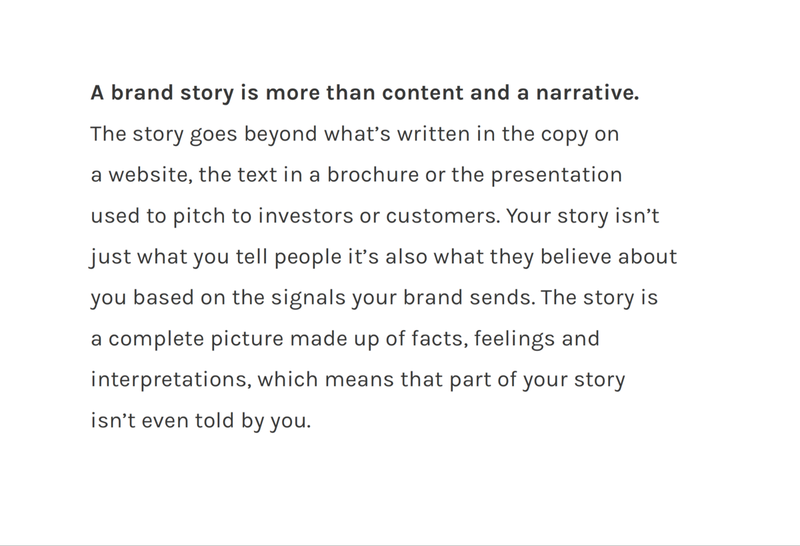 I want to tell a story through every since interaction that the consumer or user has with the brand. The best brands usually evoke a feeling in their consumers, not only through their logo but also through their copy, their color palette, their stores, etc. That’s exactly what I set out to accomplish when I start a brand identity project. It’s not easy to do, by any means, and it can take a long time to get there, but I believe it’s the right approach to creating a memorable brand. Waves and color study for Unmind. 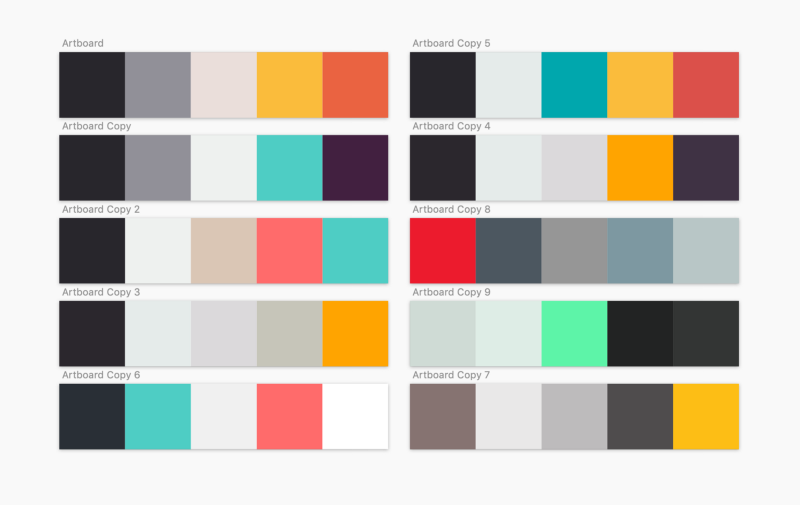 Brand guidelines are essential to ensure consistency across the board, but I always proceed with caution when it comes to guidelines because they can quickly become restrictive. Having a well-documented guidelines doc is great for onboarding designers on the team and for making sure all the important rules are being met, but it should be clear from the guidelines that there’s still plenty of room for creativity. Brands should be living, breathing, dynamic systems that can, from time to time, be altered ever-so-slightly so they can stay interesting and relevant. The only truth that I follow is for the identity system that I create to be timeless. Creating something that withstands the test of time is extremely difficult and requires looking past current trends. All highly successful identity systems like Nike, Coca-Cola, FedEx, Apple, Disney are timeless. Over the years, not much has changed about them apart from small tweaks and that’s definitely something to strive for. Color & type study for Unmind. Identity design has absolutely changed in recent years. 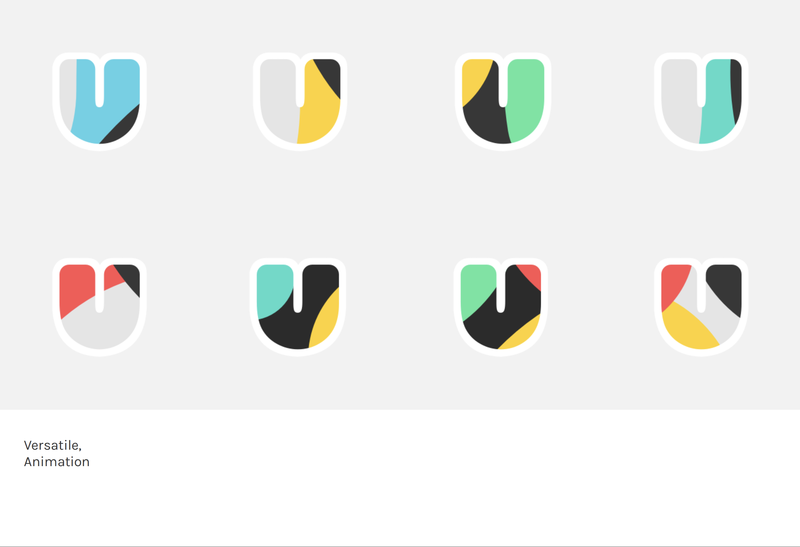 There’s a lot less noise in identity systems now. This is perhaps because they’re geared towards an audience who’s fast-moving and constantly evolving, so identity systems have to be dynamic enough to keep up with that audience. Since social media has drastically changed the way consumers interact with a brand now, it’s more important now than ever to look at brand design as a larger entity than just a logo or a typeface. I foresee identity design getting even more “mainstream” and “consumer” than it has been in the past 5 years or so. By this, I mean identity systems are starting to appeal to a larger set of audiences than they used to. Businesses are looking to branding as a differentiator because it does help set them apart from competitors. 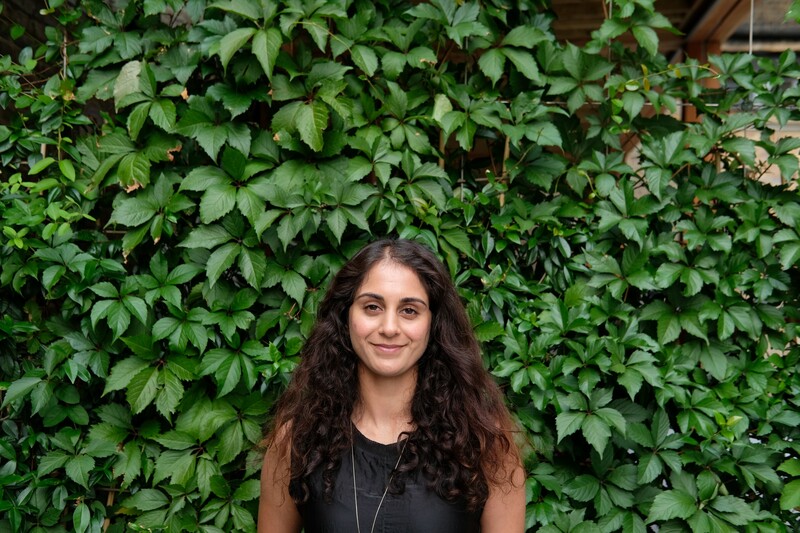 Aaina Sharma is Head of Design at Unmind. 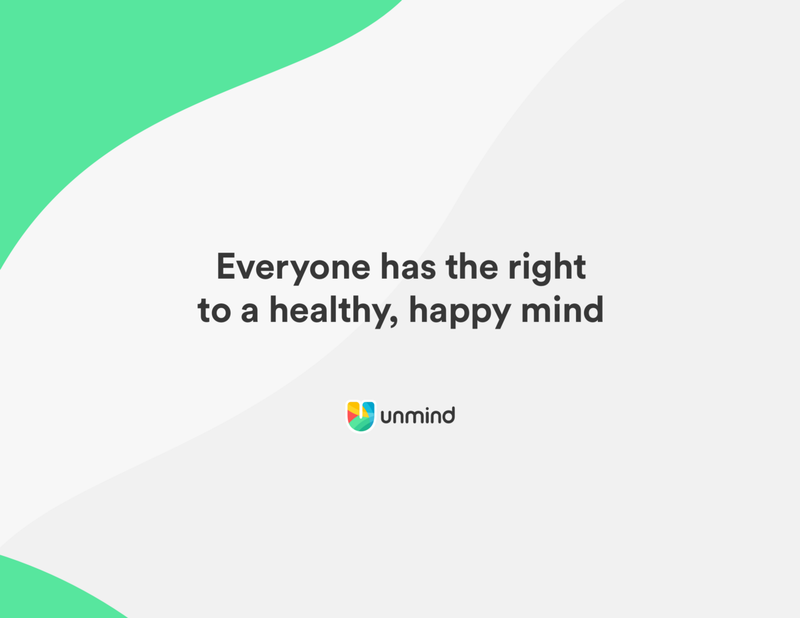 Unmind is a workplace mental health platform with a proactive approach that offers scientifically-backed tools and training for healthier, happier, more human organisations. You can read more about them here.